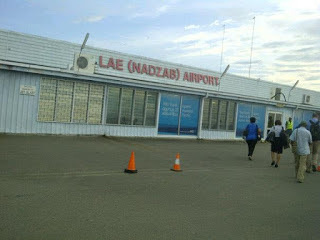 MOROBE is proposing to the Government to have a second city built at Nadzab outside Lae. Governor Ginson Saonu said it would be called the Lae Nadzab Airport city. He mentioned this when presenting Morobe’s five-year development plan to National Planning and Implementation Minister Richard Maru in Port Moresby yesterday. “Morobe is a country within a country. Therefore every leader that comes into Morobe province must take the nation into heart,” Saonu said. Saonu called on the landowners from Lae and Watarais in Markham not to sell their land. “The moment you sell your land, you are losing. The moment you sell your land for a short-term benefit, you are losing the long-term benefit. You are nobody,” Saonu said. He reminded the landowners of Nadzab airport that the provincial and national governments would support the development of their land. He urged the landowners to form their Integrated Land Group.